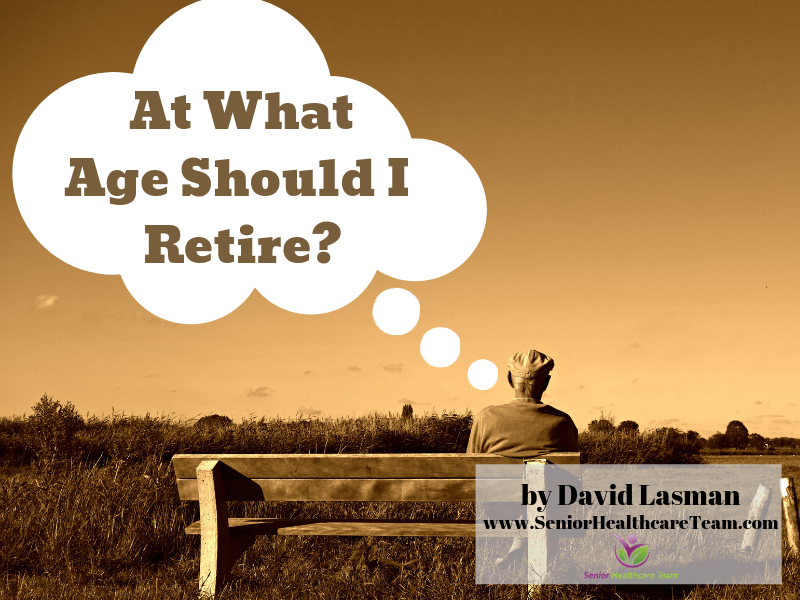 Articles At What Age Should You Retire? Let’s skip the financials of retirement – the question of whether you will have enough money to allow you to retire. Let’s explore the psychology behind your choice to retire (or not), and the impact it can have on your health and well-being. The key questions here are: Will you be happier retired or working? Will you be psychologically and physically healthier retired or working? Are you psychologically prepared to retire? Will you live longer if you retire? First, there are many cultural myths about retirement. Our grandparents grew up in the era after the introduction of social security and when retirement programs and pensions were becoming the norm in many jobs. This set the expectation that our grandparents were “working toward” retirement. The goal was to amass as much money as possible to live well during retirement. The “expected” age of retirement was 65, and the stories that got people’s attention were those who were able to “beat the system” and retire at 60, 55, even 50 years of age. My brother, the dentist, “retired” in his 40s – but he works harder in his post-retirement career than ever before. It turns out that he was not an early retiree, but an unhappy dentist. He’s now a very contented manager of health care systems, with no immediate plan of retiring. 1. Do you enjoy your job? Does it provide a sense of meaning and purpose in your life? This is critical. Some people enjoy what they do so much that it would be unwise to retire unless you can replace that sense of meaning with some other activity or passion. A friend who had joined the Peace Corps after college, had a successful career as an executive in industry. When he retired from his corporate job, he joined a major nonprofit organization as a volunteer. Because of his passion for their mission, this has turned into a second “career” for him – in many ways, he is still that hard-working “executive,” because that is who he is. 2. If your job is stressful, is it retirement you seek, or a change in careers? My brother found dentistry stressful and unfulfilling. He’s much happier in his new career. My executive friend was passionate about his job, but he is equally passionate about his volunteer career. The point is the decision to retire is about what you value. Are you a working type, or a creative leisure type? My friend Tom, will retire this year. He has had such a very active leisure life (during his non-working time, he sails, volunteers, has a large social network, a love of travel…). I have no doubt that he will be a successful retiree. 3. Does your job provide critical social needs in your life? Are most of your friends work associates? Does a good part of your social life revolve around work and the people at work? If the answer is yes, you may want to postpone retirement until you cultivate the supportive social networks beyond your workplace friends. 4. Are you prepared psychologically to retire? Do you have a retirement plan? Do you have hobbies or interests that will fill your time? Have you realistically considered what your life will be like as a retired person? Many people have unrealistic expectations about their retired lives. They imagine that they will take up golfing or tennis, begin hobbies, learn to play the guitar, travel, etc. A good test is to evaluate that part of your life currently. Are you involved in sports, hobbies, or music and passionate about it? If not, it may be unreasonable to expect that you will suddenly develop that passion the day after you retire. The most successful retirees plan out their post-working lives.